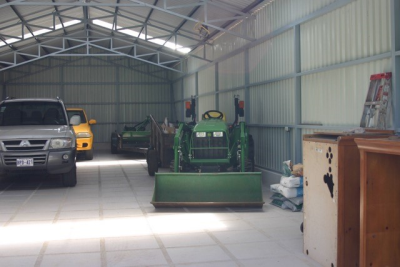 Orosi Valley Exclusive 8 acre tree farm with 3 houses, 40 x 60 ft. workshop, tractor, 2 cars. Excellent quality home with 3 bedrooms and 2 baths, 3 car garage, terrace above garage. 8 acre farm with 4 acres recently replanted with 2000 native trees, including laurel, eucalyptus, cypress, and many others. There are several mature fruit trees, and some banana plants. 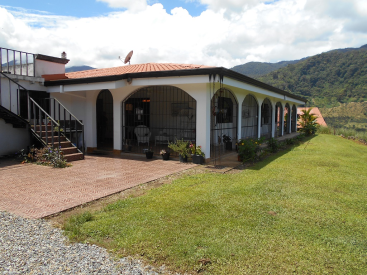 Three houses on the property with commanding views of Orosi and the famous Reventazon River. 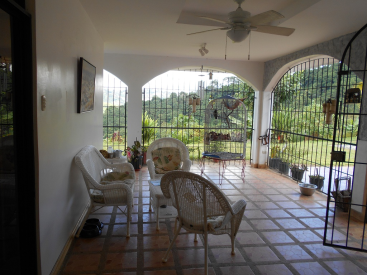 Main house is a Spanish style house that measures 4500 sq feet when the surrounding courtyard is included. The enclosed area of the house is about 3500 square feet. 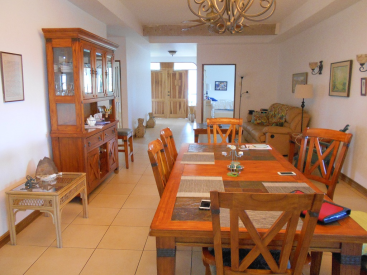 There are 3 bedrooms, a very modern kitchen, a living room and dining room and den and office all of which are fully furnished with modern furniture.The floors are all tiled and the wood throughout is Laurel with the cabinets and doors matching. Kitchen has a large pantry, new oven and extra nice appliances. House comes furnished with fine quality furniture. The master bedroom is 20'x20' and has a large jacuzzi bath. Roomy 3 car garage with electronic door opener and there is a large tiled terrace above the garage with a great view of the Reventazon River below. 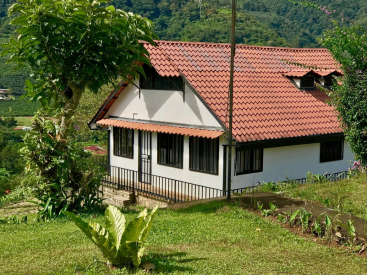 Second house is a 2 bedroom chalet that has just been fully renovated, with wood interior walls and an incredible view of the river and the Orosi Valley and town of Orosi below. Small creek runs through the farm, with an area suitable for a pond. 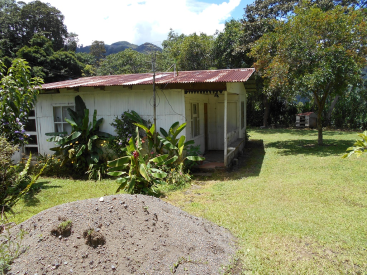 Third house is an small older "tico" house that sits by the entrance, great for a worker, or a couple for added security. Included in the sale are all the furniture, tv, full line of high end kitchen appliances, dishes, cutlery, utensils, linens, washer and dryer etc. Sale includes a 2016 John Deere tractor with equipment, also a 2016 John Deere 0-turn mower, large workbench complete with tools, medium-sized metal lathe, and welding equipment. List available of over 100 items. 2 cars, and lots of carpenter tools.